So much reading, so little time. I’m going on vacation tomorrow, and I am so excited. Not just because I’ll have some time off, but because – as part of the vacation – I will have a few days when I can just read. I’m hoping that I can get caught up on my schedule over vacation, because things are not going to get easier once I get back to real life. At least I’m barreling full speed ahead with my blog posts. Three in two weeks sure isn’t shabby, and with this post I finally get to break away from the negativity that plagued my last two submissions to the Project 84 oeuvre. Middlesex is another (the 3rd, for those keeping track) of those books that has sat on my bookshelf for years and I have “always meant to read”. This time I can at least trace the source. My mother gave it to me in college, swearing that I would love it. It sat gathering dust for years until I finally picked it up. And a phrase I’ve said more and more in my adult life comes to mind: my mother was right. Middlesex is one of the longer books I have read and plan to read in Project 84, clocking in around 530 pages, and the plot synopsis is a little tough. But here goes. Middlesex is told through the eyes of Cal, a young Greek-American man living in Germany. We learn quickly that Cal was born Calliope, but had intersex characteristics that were not identified until his teens. But the story starts long before that. Our narrator, Cal, tells the story of his grandparents – Lefty and Desdemona – who escaped from Greece during the Great Fire of Smyrna and came to America. They were married at sea, and hid a secret: Lefty and Desdemona were brother and sister. The novel goes on to tell the story of their lives in America with a cousin, Lina. Cal continues on to the next generation – and the marriage of his parents, Milton (Lefty and Desdemona’s son) and Tessie (Lina’s daughter). It is the intermarrying that, ultimately, led to a recessive condition manifesting itself in Cal, the offspring of cousins Milton and Tessie. 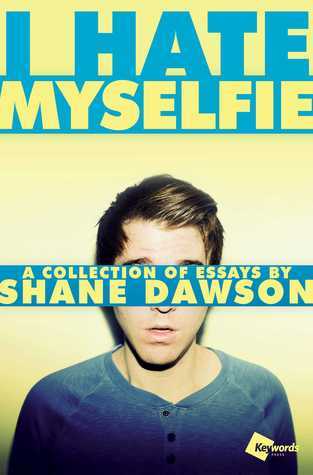 The book becomes the story of Cal’s self-discovery, and his struggles with both sexuality and identity. This book was a masterpiece, and I don’t know why I was surprised. Everyone I’ve spoken to who read Middlesex has loved it. It reads almost like an epic, and there’s a traditional beauty in that which I responded to. I went through to find quotes that I could use from this book, but, honestly, just read it. The beauty of the book is not in specific passages, but in the narrative as a whole. It was almost like an impressionist painting, where the details, the characters, the imagery, and the emotion all come together to create something amazing. The detail in this book was particularly captivating. As I mentioned, it was a 530 page book, which is on the longer end of the books I’ve been attacking for Project 84, but I was barely affected by the length. I read Infinite Jest last year, and it felt interminable. 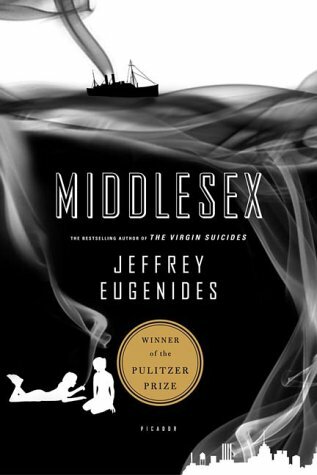 I flew through Middlesex, and I think It has a lot to do with how fascinated I was by the characters and the story. Like I said before, the book is almost comparable to an “epic”, which is fitting with the Greek characters. The narrative chronicles 3 generations of a family, and takes place over 90 years, so the number of characters you’re expected to follow is more than in a typical book. And yet Eugenides somehow manages to create a world where you become emotionally invested in just about everyone you meet, and the “epic” turns into a character-based narrative, which created that “lost in a book” feeling. Ultimately, the main theme of the book is identity. It’s about finding your place in the world, deciding who you are, and also how biology, genetics, and upbringing play in to who you become as an adult. Cal is a flawed character – but a beautifully flawed character, and through the 90 years of his story we are able to discover exactly why he has become that way, without removing his personal responsibility for his life. 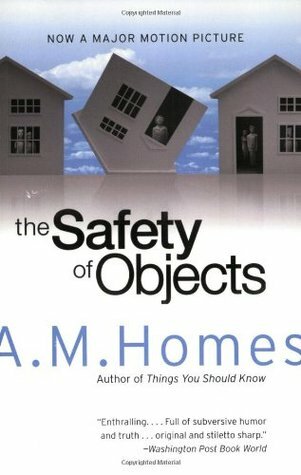 I know so many people read this book when it first came out in 2002, but if you’re one of the people (like me) who missed it, I can’t recommend it enough. It was an easy read, and yet literary and deep. 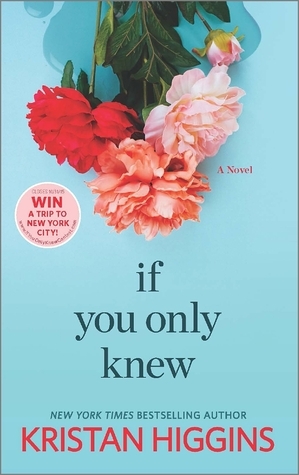 It made me think, but also entertained me, and it was the type of book that you can “get lost in”, which, for me, is all I really need in a novel. See, I do remember how to like books. It’s not all negative! The next one is actually another positive, somewhat glowing review, so get off my case. (For the record…no one has been on my case ;) ). I’m 3 away from the 20 review mark, and I’m feeling great about how much reading I have gotten done, and am optimistic about catching up over vacation. This is going to sound weird, but it’s harder to get my reading done when I’m focused on losing weight. My best friend recently got engaged (shout out to Laura! ), so I have been recommitting to the weight loss process, and trying to finally get to that goal weight that has forever eluded me. Why do I mention this? Because it’s harder for me to get reading done when I’m trying to lose weight. First of all, I’m busier – I now work cooking and workouts into my day. Second of all, I eat out less, and restaurants are where I once got most of my reading done. And thirdly, it’s just another thing to focus on, and that focus needs to come from somewhere. But I’m still managing to get reading done where I can, and adding to the completed book list. This particular book I’ve had done for a while, but it took a little bit of time for me to review. Almost as long as it took me to read. I hate to do two of these books in a row, but I have to come clean. Lady Chatterley’s Lover was not my favorite. The plot was simple enough. Constance is married to Clifford Chatterley – a high society man who was injured in the war and paralyzed from the waist down. Feeling distanced from her husband, Constance finds comfort in the arms of Oliver Mellors, the couple’s gamekeeper, well below Constance’s social standing. Constance battles between a sense of propriety (and a desire to stay loyal to her husband), and a physical love that only exists with Mellors. It’s a simple premise, a simple plot, but the book is unnecessarily complicated, so much so that I just couldn’t get into this book. I’ve mentioned this before, but a big focus of my study in college was late 1800s and turn of the century literature – focusing much of my study on Realism. A big part of Realistic literature is an absence of plot, and a focus on characters. That approach often leads to a presence of ideas unrelated to the actual novel. For example, the main characters will be at a dinner party and discuss the politics of the day or their view on race relations for several pages, even though the greater themes of the novel have nothing to do with those topics. There are a great number of reasons why Realistic authors chose that focus on the characters, and from an analytical standpoint it can add to our understanding of the time period. The main idea is that what is important are the characters themselves – not what they are doing but who they are. I have no problem with the approach. In fact, I respond to the idea. It’s actually a big part of the reason why I dislike most Jane Austen novels – all plot, no character or substance. The Realistic period came to an end around the end of World War I, but Lady Chatterley’s Lover, which was published in 1928, is still a prime example of a Realistic novel – at least by my estimation. With one small issue: it’s not a very good Realistic novel. While Lawrence does focus on character before plot – both of those subjects seem to come second to his main focus: getting his point across. The book isn’t actually about the characters at all – it’s about Lawrence. Lawrence’s views on sexuality, on women, on the politics and business of his day. The book was controversial immediately upon its inception. 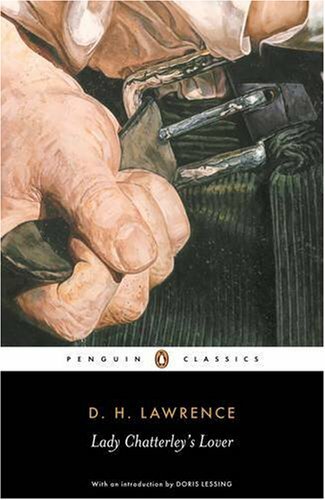 Lawrence couldn’t even get it published in England initially due to the subversive themes. So I get why he would place so much focus on his own views, but it still takes me out of the narrative and away from the characters. In a realistic novel, characters come first. In this one, characters come second. Lawrence comes first. Ultimately, my problem with Lady Chatterley’s Lover was the same as my problem with The Almost Moon: I didn’t respond to it. Lawrence’s writing felt self-indulgent and self-serving, and his characters felt half formed and unnecessarily complicated. The conflict in the plot came to an abrupt and easy conclusion, so much so that it felt like an afterthought. I would not recommend this book. 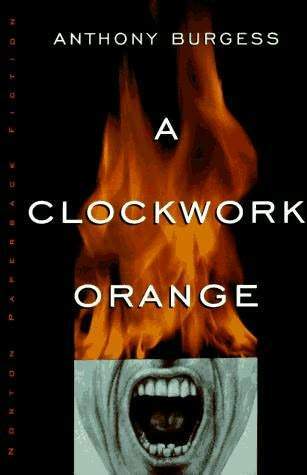 I think there are better examples of Realistic literature, better examples of subversive literature, and better things to do with your time. I know there are people who loved this book, so maybe I’m in the minority, but it just was not for me. After this and Brave New World, my father said to me, “man, Lana, you’re gonna definitely spark some conversation if you keep bashing the classics.” I would like to point out that if Lady Chatterley’s Lover was that much of a classic, I already would have read it in class. Before I close the book on Lady Chatterley’s Lover, I do want to emphasize that even though I am characterizing it as a Realistic novel, many would not. I might be on to something with my analysis – but I’m out of college now, so I’m not going to fight too hard for it. That’s what I have a blog for! I feel like I’m back in the swing of things with Project 84. I’m reading, I’m blogging, I’m staying on top of what I need to do to finish 84 books. Right now, I’m 21 books down in my reading, and this will be my 15th blog post, so I’m doing alright! I hope you guys have enjoyed reading what I have to say about the books, and following along with my progress. I wish all of my posts were overwhelmingly positive. I know, that’s not realistic, but I always feel badly when I rip a book or an author. It’s not my intention to be overly critical, but I also don’t want to be dishonest in a blog like this. That’s what a review is all about. If you couldn’t guess from that apologetic introduction, I did not like this book. I wanted so badly to like it. 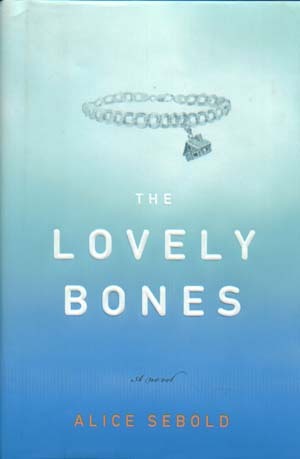 I loved The Lovely Bones, so I thought Sebold’s other work would be more like that. I’ve been told that I should have gone with Lucky as my second Sebold selection, and I wish I had. Maybe I would have been less disappointed. But first, the plot. Where The Lovely Bones takes place over about a 15 year period, The Almost Moon is encompassed in 24 hours. Within the first 10 pages our main character, Helen, kills her mother. Her mother is suffering from dementia, but this is no mercy killing, it’s the culmination of Helen’s frustration over the years with how codependent she and her agoraphobic mother have become. From there, Helen deals with the aftermath of that decision, dragging her ex-husband, her best friend, her best friend’s son, and her own daughter into the fray of what her life has become. It’s a short summary, but, to be honest, it feels like very little happened in this book. The main issue I had with the novel is that I couldn’t feel the conflict. The struggle is mostly internal – Helen commits this crime, and she has to deal with the aftermath. We’re supposed to learn why she did it, what led to this point. Maybe we’re supposed to sympathize with her a bit? But I just couldn’t figure out why she did what she did. But I just couldn’t get there. I couldn’t get to the point where I felt like I understood what her mother did to her, and why I should care. I hear what she’s saying in those passages, but I don’t think the book in any way portrayed those emotions. She talks a lot about how her mother’s agoraphobia and controlling nature ruined her life – but I didn’t see that. It never felt like her examples were explicit or interesting enough to bring me to a place where I could begin to understand and sympathize. As a result, I didn’t like Helen, which is a fatal flaw of a character-heavy book. I love character centric novels, I love inner struggle as the main conflict, I find that compelling. But the key to that type of novel is to have a main character that you want to learn more about. I couldn’t care less what happened to Helen. She was whiny, unwilling to take responsibility for anything, and her examples of “how terrible her life is” just never rang true. Without sympathy for the main character, there was no way I would even get close to relating to The Almost Moon. At the end of the day, I wouldn’t recommend this book. If you’re going to read Alice Sebold, I would stick to The Lovely Bones and maybe Lucky, which I haven’t read but heard nothing but good things about. I think there are authors that do what she was attempting to do better - The Bell Jar comes to mind, or Salinger if you want to get really literary. I don’t think she succeeds here, and I would choose something else if given the option. Okay, so that’s out of the way. I really do wish I had liked The Almost Moon as much as I’d liked The Lovely Bones, but it just wasn’t to be! My next review is going to be another not stellar one, so I hope you all don’t hate the negative too much. Happy reading, folks! Well, would you look at that? Two posts in two days? That’s gotta be some sort of Project 84 record, right? I told you, I have five books ready to go (and hopefully a couple more once I actually finish the 5th) – plus a couple books that need to go back to the library soon – so I feel pretty motivated to get these posts completed and get on with Project 84! These next two books go together, at least by author, so I’m going to post them within a couple days of each other. Woo! 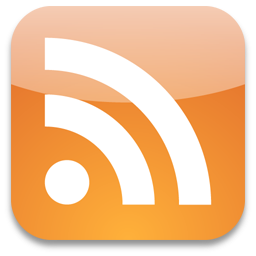 Blog posts! This is the second book on the list of “books I’ve had on my shelf for years that I’ve always meant to read”. I remember starting this book a few times, and either not getting into it, or life got in the way a bit and I became too separated from it to read without restarting. Now that I have read it, however, I’m shocked at how long it took me to get through. Bam. Right out of the gate, we know what we’re working with. And this book is no mystery. By page 6 you as the reader know exactly who killed her (George Harvey, a lonely man from her neighborhood), and by the end of the 1st chapter you as the reader know exactly how it happened. The book isn’t about finding out who killed Susie. It’s not even about bringing the killer to justice. The book is about the people left behind from the tragedy. Susie is up in heaven, looking down on her family, watching them grieve, watching the aftermath of what happened to her. She is happy, she is content – it’s not about her. This book is about the family and friends that she left behind. It takes place over about 15 years, as Susie comes to terms with what happened, and her family tries to move on in the face of horrible heartbreak. I also really liked that The Lovely Bones wasn’t a mystery. You know by page 2 what happened, and you learn early on that it doesn’t really matter what happens to George Harvey. As the years go by in her narrative, Susie refers to him less and less – demonstrating how he slowly managed to drop out of the lives of the people she left behind. I don’t think Sebold wrote a perfect book. The whole novel was somewhat ethereal and nebulous, and while I won’t go into details about what happened, it got a little too concrete at the end for my taste. It was almost as if I was reading a poem that suddenly became a biography. But it was barely a blip, certainly not enough to take me out of what was truly a pleasant read. A woman saw me reading this book at Denny’s, and said to me “Oh, The Lovely Bones! Either you love that book or you hate it.” Well, I loved it, and I feel like even if it’s not your cup of tea you can get something out of the emotion of the story. All in all, I recommend the novel. It’s a fast read, compelling, and emotional, all the things that make a good “fun” book. I’m really starting to hit my stride with these books, I think. 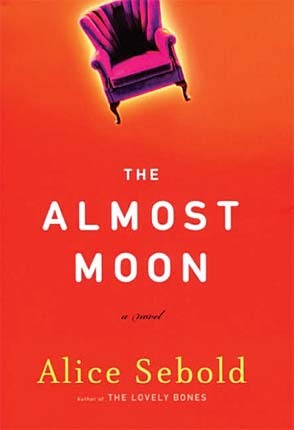 Like I mentioned earlier, the next book I’ll be posting about is another Sebold book – unfortunately, one that I didn’t like quite as much as The Lovely Bones. But it’ll be another look into why certain books don’t grab me, and that can be valuable in this process. I really have to stop posting “expected posting dates”. I have yet to hit a single one, no matter how finished the post already is, or how liberal I am with my time frame. Either I need to stop, or I should put the “expected posting date” as, like, a month in the future, so I always come in ahead of schedule. That would work, right? Whether I hit the date or not, I am posting, so I should stop getting so worried about it. More importantly, I’m reading – and the books are stacking up! Right now, I have 5 books sitting on my desk just waiting to be blogged about, so I better get to it. I knew if I didn’t get around to reading this book eventually someone was going to take my nerd card away. Of course I’ve been meaning to read this book for years. 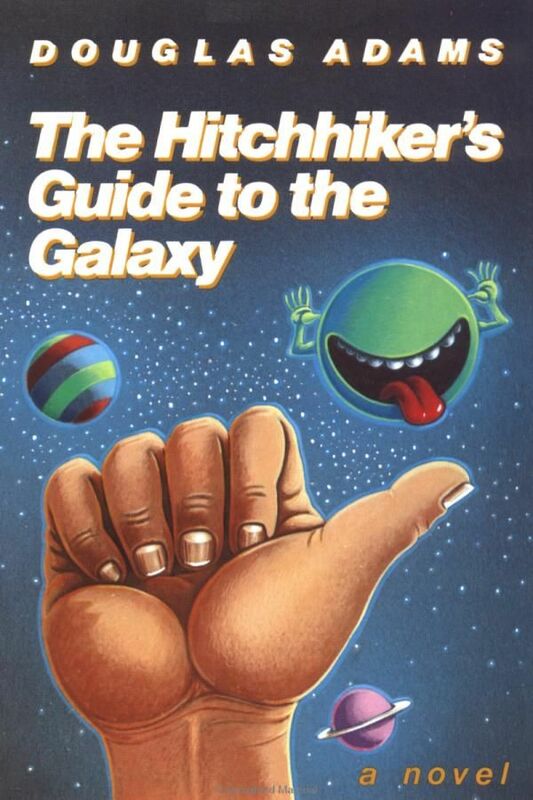 I was a book nerd in high school, into computers, love the internet…so I’ve heard nothing but good things about The Hitchhiker’s Guide to the Galaxy. It’s also a little, pulpy book, only 215 pages long, and it’s listed in 1001 Books to Read Before You Die, so I ran out of excuses and finally picked it up. Stop the presses: I loved it. The story is barely important, but I’ll give a short synopsis before I get into what I loved so much about this novel. The book opens on Arthur Dent, whose house is about to get bulldozed to make way for a bypass to be built. He’s lying in front of the bulldozer when his friend, Ford Prefect, arrives and convinces him to go for a drink. Ford then tells him some fascinating news: he is not from this planet, and the Earth is going to be destroyed that day. Ford is a researcher for an intergalactic guide entitled The Hitchhiker’s Guide to the Galaxy, and just as Earth is about to be destroyed, he and Arthur Dent are boarded onto a ship headed to parts unknown. From there, they are catapulted into a set of circumstances made interesting by their randomness, and Arthur learns how small he is in the grand scheme of the universe. I liked this book for myriad reasons, but first comes first: it’s funny. I am not someone who laughs out loud while I’m reading, particularly because much of my reading is done in restaurants, parks, libraries, or other places where onlookers can catch sight of the crazy girl cracking up at her book. But this one had me chuckling. I don’t want to give away the jokes by giving direct quotes, but the humor in the absurdity of this book is truly funny, not just lighthearted. That idea of vastness – of how insignificant we all are in the grand scheme of things – is one that I try to focus on where I can in my life. Reading it in this context made it all the more attention-grabbing for me. Mixed with the humor, the sense that we are all so small and inconsequential in relation to the universe took on an absurdity that I appreciated. For me, that anonymous, miniscule feeling can either make my life feel really insignificant…or it can make me realize that what I do has very little impact on anything outside of my own life, so I need to make it all really count. If the only ones being affected live inside my circle, than what I do becomes infinitely more important to them, while it loses importance to the rest of the world. There are 4 more books in the Hitchhiker’s Guide to the Galaxy “Trilogy”, but, as of right now, they are not on my reading plan. I will probably read them eventually, but with everything I have on tap for Project 84, there just wasn’t time. But I’m sure they are as great as this one…which I recommend to just about anyone. Like I mentioned, I have 5 more books ready to be reviewed, so I should get going at a pretty good clip from here, at least for a while. The next few are “Other” novels, so the reviews will most likely not be as glowing as they are for the 1001 Books to Read Before You Die books, but there are some great gems in the mix!